Rabbi Hayyim Angel is National Scholar of the Institute for Jewish Ideas and Ideals, and this article appears in issue 27 of Conversations, and was reprinted in issue 32 of Conversations. Beginning in the nineteenth century, cataclysmic changes affected Jewish communal life. Secularization, the separation of Church and State, emancipation, and the institution of civil marriage undermined the authority of Jewish communal leadership and led to a shift from a generally traditional society to one where the majority of Jews no longer observed all of halakhah and many chose social assimilation and (increasingly) intermarriage. The latter phenomenon gave rise to the following question: If a Jew has chosen to marry (or to live with) a non-Jewish partner, and that partner applies to convert, what is the proper rabbinic response? While there is a wide range of opinions among rabbis responding to this question, they can be divided broadly into a more lenient position and a more restrictive position. This chapter will explore the central arguments of each side. If the non-Jewish partner of a Jew applies to convert, is her motivation for the sake of marriage (rather than sincere religious motivation)? If so, are we required to reject this application out of hand? If we agree to accept such spouses for conversion, are we not thereby implicitly condoning and even encouraging intermarriage? Should we agree to accept a convert who likely will not be religiously observant? If halakhah regards “acceptance of the commandments” as a crucial part of the conversion ceremony, can such a candidate fulfill that requirement? If not, then even if we want to accept such a person it is a waste of time, for without acceptance of the commandments conversion can never be valid. Several German rabbis, including Yaakov Ettlinger, Samson Raphael Hirsch, and Azriel Hildesheimer, opposed performing conversions in cases of intermarriage. They maintained that in the era when Rambam permitted such a conversion (see previous chapter), the Jewish community was generally observant. Back then, conversion to Judaism necessarily meant entry into an observant Jewish community. However, one no longer could presume that a convert would join an observant community, since the majority of born Jews no longer fully observe halakhah. These rabbis maintained that it is contrary to Torah to accept a convert who will be non-observant. Therefore, Rambam’s ruling is not relevant as a precedent in the modern era. Similarly, some rabbis ruled that a mohel should not circumcise a boy born from a Jewish father and a non-Jewish mother, since there was little likelihood that the child would grow up in an observant Jewish home. Thus, even if the child were later to complete the conversion process by immersion in a mikvah, he would at most become a non-observant Jew, whom (as noted above) Torah does not want as a convert. In addition to their halakhic analysis, this group of rabbis believed that a strict policy against conversion and circumcision of sons born through intermarriage would deter others from intermarrying. Other rabbis disagreed with this analysis. They believed that a Bet Din is obligated to do whatever it can to avoid an intermarriage and that this can be achieved by converting the non-Jewish partner. Moreover, the Bet Din also has a responsibility to ensure a Jewish future for the children of intermarried couples. Rabbis Zvi Hirsch Kalischer and Marcus Horowitz insisted that a mohel should circumcise a boy born from a Jewish father and non-Jewish mother, since he is still of Jewish stock, zera Yisrael. The Bet Din has a responsibility to keep such children closer to Judaism and the observant community, and perhaps one day they would come to accept Judaism more fully. These rabbis maintained that a Bet Din should view a father’s desire to circumcise his son as an act of sincere commitment, since he did not have to request this circumcision at all. In this spirit, Rabbi David Zvi Hoffmann ruled that if a couple is civilly married and the non-Jewish spouse comes to a Bet Din to convert, this should not be considered a conversion “for the sake of marriage” since they already live as a married couple and therefore have no ulterior motive for conversion. Aside from the responsibility to do everything it can to prevent intermarriage, the Bet Din also has a responsibility to the children of these couples, and can help in their religious development by giving them two Jewish parents. Rabbi Hoffmann understood that this situation was not ideal, but considered performing the conversion as the lesser of two problems. Rabbi Hoffmann also wanted prospective converts to avoid going to Reform rabbis, as the converts (and many others) would mistakenly think that they are Jewish even while not having undergone a halakhic conversion. Within his permissive ruling, Rabbi Hoffmann maintained that the non-Jewish partner must commit to three pillars of mitzvah observance: Shabbat, kashrut, and the laws of family purity. One of the central debates between the two positions revolved around the requirement of conversion “for the sake of Heaven” (Gerim 1:3). The permissive side maintained that any choice made by the prospective convert not for personal gain should be considered “for the sake of Heaven.” A civilly married couple, then, could be considered sincere since they did not need to come to a Bet Din in order to be married. Rabbi Yehiel Yaakov Weinberg agreed with Rabbi David Zvi Hoffmann, that if a couple already lives together, a Bet Din may view their voluntarily coming to the Bet Din to mean that the conversion was not for ulterior motives. Others, including Rabbi Shlomo Kluger and Rabbi Ovadiah Yosef, maintained this view, as well. Additionally, many who permitted such conversions did so in order to avoid the greater problem of intermarriage. A lenient interpretation of the rules of conversion was the preferable choice. Finally, the permissive side insisted that a Bet Din has a responsibility to work proactively to help people avoid living in sinful relationships. The restrictive side disagreed. True, such a conversion may not be for the sake of marriage, but it also is not a sincere conversion for the sake of heaven. The Jewish partner, for example, may want his or her non-Jewish spouse to convert for social and communal acceptance. The restrictive side also maintained that it is not the responsibility of a Bet Din to proactively bend the rules of conversion to help sinners. Additionally, they argued, of what benefit would it be to convert a non-Jewish spouse if the couple likely will remain non-observant? Similarly, of what benefit would it be to the child of an intermarriage, who was unlikely to grow up observant? Such individuals are better off as non-Jews, since they will not be culpable for violating the Torah. Better remain a Gentile than become a non-observant Jew! Toward the end of the nineteenth century, some rabbis pushed the restrictive position further and maintained that absent a fully sincere and heartfelt commitment to observing all of the mitzvot at the time of conversion, conversions are not valid even after the fact, even if performed by an Orthodox Bet Din. Professors Avi Sagi and Zvi Zohar maintain that Rabbi Yitzhak Schmelkes was the first to state and defend this position (in 1876). Two leading exponents of this position were Rabbis Mordechai Yaakov Breisch and Moshe Feinstein. One of the leading exponents of the permissive position in the twentieth century was Rabbi Benzion Uziel, the Sephardic Chief Rabbi of Israel at the time of the founding of the State. Rabbi Uziel maintained that many mixed couples exist, whether just living together or married under civil law, and the Bet Din has a responsibility to change this situation for the better if it is able to do so. He therefore ruled that if a couple already is civilly married, or they are certainly going to get civilly married, a Bet Din should perform the conversion to create a marriage in which both partners are Jewish. Rabbi Uziel understood the obligation of a Bet Din to inform a prospective convert of some mitzvot prior to conversion (Yevamot 47a–b) to mean that the convert is required to be informed that a central aspect of Judaism is commitment to Torah and mitzvot, and that Jews are held responsible by God to observe them. However, the halakhah does not demand that a convert commit to observing all of the mitzvot, but rather only to understand that he or she is responsible to observe the mitzvot. Rabbi Uziel also invoked Rambam’s responsum (#211, discussed in the previous chapter), where he permitted the less-than-ideal conversion of a Christian maid who had an affair with a Jewish man so that they could get married. Similarly, argued Rabbi Uziel, many circumstances in the modern period fit this less-than-ideal status, where a Bet Din must choose the lesser of the two evils. Rabbi Uziel also insisted that the Bet Din has a responsibility to the children of intermarried couples. If the father but not the mother is Jewish then the child is of Jewish stock, zera Yisrael, and should be converted so as to become halakhically Jewish. If the mother is Jewish, then the child is Jewish. If that child’s non-Jewish father wants to convert, the Bet Din should accept him so that the child grows up in a unified Jewish home with two Jewish parents. Not only is the Bet Din permitted to do such a conversion, but it is obligated to do so in order to progress from a situation of intermarriage to one in which the entire family is Jewish. Rabbi Uziel stressed that the Bet Din first must attempt to break up such an intermarriage, but if it could not dissuade the couple, the conversion should take place. A prolific contemporary writer on conversion, Rabbi Chaim Amsellem, maintains that there are particular halakhic grounds for leniency where a prospective convert is of Jewish stock, zera Yisrael. He maintains that some actual religious commitment is required of a convert, but that is not tantamount to an acceptance to observe the entire Torah. Rather, commitment to have some semblance of a Shabbat and holidays, as well as a belief in one God and an abandonment of previous religious affiliations, is sufficient. With the creation of the State of Israel, a new identity was possible as people living in Israel could cast their lot with the fate of the Jewish people, without adopting any meaningful religious lifestyle. Ashkenazic Chief Rabbis Yitzhak Herzog and Isser Zalman Unterman both maintained stringent policies for conversions that occur outside of Israel. However, they believed that if an intermarried couple wanted to convert to make aliyah under the Law of Return, and it was safe to live in the country where they currently resided (so that they did not have the ulterior motive of converting to attain physical safety by moving to Israel), then their adoption of the Zionist dream is to be considered casting their lot with the Jewish people. With hundreds of thousands of people from the former Soviet Union living in Israel today who are not halakhically Jewish, several religious Zionist rabbis maintain that a lenient policy is required. Rabbi Yoel Bin-Nun has argued that there should be a mass conversion ceremony. Rabbi Yigal Ariel similarly maintains that their living in Israel fulfills the halakhic requirement to accept Jewish peoplehood. Similarly, the rampant rate of intermarriage throughout the Diaspora has led several rabbis to adopt the lenient ruling on conversion so that they can prevent as many instances of intermarriage as possible. These rabbis also attempt to convert the children of mixed marriages when possible. In contrast, the restrictive position maintains that every convert must be judged on a case-by-case basis as an individual, and each one must demonstrate a full and sincere personal commitment to halakhah and Jewish belief. Without such commitment at the time of the conversion, the conversion is invalid even post-facto. Rabbis who espouse the restrictive position maintain that a Bet Din should welcome anyone who fully accepts the Torah’s religious standards, and everyone else is better off remaining non-Jewish. People who sin through intermarriage and assimilation are not the responsibility of a Bet Din, since they brought these problems onto themselves by making sinful choices. There is a wide range of definitions assigned to “acceptance of mitzvot,” including the following: (1) The convert agrees to fulfill the ritual of conversion, circumcision, and mikvah (Ramban, Tosafot). (2) The convert must give verbal assent to observe the mitzvot (Rabbis Hayyim Ozer Grodzinski, Abraham Isaac Kook). (3) The convert needs to understand that a central aspect of Judaism is commitment to Torah and mitzvot, and Jews are held responsible by God to observe them (Rabbis Raphael Aharon ben Shimon, Benzion Uziel). (4) The convert must commit to observe all mitzvot. If, at the time of the conversion, the convert said untruthfully that he or she was committed, then the conversion is invalid even post-facto (Rabbis Yitzhak Schmelkes, Mordechai Breisch, Moshe Feinstein). There also is debate over the meaning of conversion “for the sake of heaven”: (1) As long as there is no tangible benefit for the convert, a conversion can be considered to be for the sake of heaven. Therefore, an intermarried couple that approaches a Bet Din so that the non-Jewish partner can convert is accepted, since they already are living as a married couple. (2) Some concede that such conversions are less than ideal, but it remains good policy for the Bet Din to accept such converts to avoid the greater evils of intermarriage, mixed-religion households, and to keep the children of intermarriages closer to the Torah. (3) Conversion for the sake of Heaven requires a full and sincere commitment to God, the Torah, and mitzvah observance. There is a fundamental debate regarding the obligation of a Bet Din toward sinners: If the more lenient positions are a compromise with pure halakhah (which they may not be, as we have seen), is it the obligation of the Bet Din to bend the rules to accept the lesser of two evils, or does the Bet Din have no obligation to compromise? Intertwined with the purely halakhic debates is a disagreement over the best public policy. Granting that there are strong halakhic opinions on both sides of this debate, what policy best serves the Jewish people? Do hundreds of thousands of people of Jewish stock from the former Soviet Union living in Israel who fight in the Israeli armed forces and marry other born Jews; or the countless couples who either are intermarried or will intermarry, and the children of intermarriages, require the Bet Din to be proactive and as inclusive as possible? Or is it preferable for a Bet Din to be as restrictive as possible toward those who do not fully adopt the ideal beliefs and observant lifestyle of the Torah? To summarize, the permissive side has two dimensions: (1) The classical halakhic sources support the permissive side. (2) The classical halakhic sources may not fully support the permissive side at the level of ideal halakhah, but we live in an age where halakhic compromise is preferable to the greater problems that arise by not performing the conversions. The restrictive side, in contrast, insists that the classical halakhic sources do not support the permissive side, and that a Bet Din should not bend any rules to help sinners. Toward the end of the twentieth century, a radical new development took place, as several rabbis began to insist that a conversion can be revoked at any time if the convert demonstrates a lack of halakhic observance. This innovative ruling led to a series of truly dreadful events. In 2006, then Sephardic Chief Rabbi of Israel Shlomo Amar declared that he rejected most Orthodox conversions from abroad. In 2008, Rabbi Avraham Sherman of Israel’s Rabbinical High Court cast doubt on thousands of conversions performed by Rabbi Haim Drukman, who had been the head of the State Conversion Authority in Israel. He also declared Rabbi Drukman to be invalid to serve as a rabbinical judge since Rabbi Drukman disagreed with what Rabbi Sherman maintained was the accepted position in halakhah. In 2009, then Ashkenazic Chief Rabbi of Israel Yona Metzger supported Rabbi Sherman, and insisted that Israel’s Chief Rabbinate has the power to annul any conversion. Rabbi Haim Drukman is a God-fearing and righteous man. Disagreeing with his judgment is one thing; disqualifying him from being a judge—or even a good Jew, since conversion overseen by three observant Jews is valid—is intolerable. Rabbi Aharon Lichtenstein…intimated that Rabbi Sherman’s comments about Rabbi Drukman is a transgression of Torah prohibitions relating to bein adam l’haveiro [interpersonal relationships], which disqualifies him from testifying or serving as a dayan [rabbinical judge]. Returning to the genuine principled debate, rabbis who insist on the restrictive position recognize that many leading halakhists maintain positions against their own. Therefore, they should grant legitimacy post-facto to conversions performed by Orthodox Batei Din who follow the permissive opinions. All converts need to know that once they convert through an Orthodox Bet Din, they are irreversibly Jewish and nobody ever can take that Jewishness away from them or from their children. The religious establishment is obligated to address cases of intermarriage, children of intermarriages, and people of Jewish ancestry. While halakhists must determine the proper halakhic ruling and policy, it is clear that both sides have great halakhic decisors and strong arguments to support them. The key to Jewish unity, then, is for Batei Din to recognize the rulings of others who follow different halakhic opinions, even when they vigorously disagree with their positions. There are fewer people more courageous and beloved than adult converts, who enter under the wings of the Shekhinah, transforming their identity, and identifying with the Jewish people. David Ellenson and Daniel Gordis, Pledges of Jewish Allegiance (Stanford, CA: Stanford University Press, 2012), pp. 39–48. Ibid., pp. 92–96, 100–102, 110–114; Richard Hidary, “Sephardic Approaches to Conversion,” in Conversion, Intermarriage, and Jewish Identity, ed. Robert S. Hirt, Adam Mintz, and Marc D. Stern (New York: Yeshiva University Press, 2015), pp. 306–309. For an extensive survey of rabbis on each side of this debate, see Avi Sagi and Zvi Zohar, Transforming Identity: The Ritual Transition from Gentile to Jew (London, New York: Continuum, 2007), pp. 37–88. Modern political and cultural life is based upon several interconnected ideas: (a) The separation of church and state; (b) the idea that religion is a matter of individual conscience and resides in the individual’s heart and conscience; (c) the idea of a nation-state, in which all members of the nation enjoy equal citizenship, whatever their religious affiliation is. Under the above matrix of ideas, if being Jewish meant belonging to the Jewish RELIGION, then, a Jew could be a member of (e.g.) the French NATION without any conflict in identity. But if being Jewish meant belonging to the Jewish NATION, then, how could a Jew also be a member of the FRENCH nation and a loyal citizen of France? Until modern times, Jews did not have to make such a choice. But once becoming a citizen was facilitated by defining Jewishness as specifically a RELIGION, then this was very attractive to Jews. Conversely, those who decided that being Jewish meant belonging to the Jewish NATION, ultimately opted for NATIONAL SELF DETERMINATION (in the spirit of modern nationalism in general). The internalization of the notion that Jews are basically a religious community is (to my mind) what led to Rabbi Schmelkes making the completely innovative halakhic ruling, that if at the moment of giyyur the person did not sincerely intend to accept upon himself praxis of the Jewish RELIGION—the fact that the giyyur was conducted by an Orthodox Bet Din was of no consequence, and the giyyur was completely worthless. Because religion is a matter of the heart, that was the crux of a true giyyur. But up to that moment in the history of halakhah, it was clear that giyyur was rebirth into the Jewish People, that resulted in the People’s covenant with God obligating the ger but not due to any personal self-obligation he had at heart. Ellenson and Gordis, Pledges of Jewish Allegiance, pp. 96–100, 103–110, 123–126. For further discussions of R. Uziel’s view, see R. Marc D. Angel, “A Discussion of the Nature of Jewishness in the Teachings of Rabbi Kook and Rabbi Uziel,” and “Another Halakhic Approach to Conversions,” in Angel, Seeking Good, Speaking Peace: Collected Essays of Rabbi Marc D. Angel, ed. Hayyim Angel (Hoboken, NJ: Ktav, 1994), pp. 112–123, 124–130; R. Marc D. Angel, Loving Truth and Peace: The Grand Religious Worldview of Rabbi Benzion Uziel (Northvale, NJ: Jason Aronson, 1999), pp. 155–175; Ellenson and Gordis, Pledges of Jewish Allegiance, pp. 126–133. R. Chaim Amsellem, “Acceptance of the Commandments for Conversion,” Conversations 14 (Autumn 2012), pp. 91–117. See further discussions in Arye Edrei, “From ‘Who Is a Jew’ to ‘Who Should Be a Jew’: The Current Debates on Giyur in Israel”; and Chaim I. Waxman, “Giyur in the Context of National Identity,” in Conversion, Intermarriage, and Jewish Identity, pp. 109–150, 151–185. Ellenson and Gordis, Pledges of Jewish Allegiance, pp. 136–142. See further in Sagi and Zohar, Transforming Identity, pp. 177–183. See further discussion in R. Yosef Zvi Rimon, “Modern-day Ashkenazi Psak regarding the Nullification of Conversion,” in Conversion, Intermarriage, and Jewish Identity, pp. 261–291. R. Yosef Zvi Rimon, “Modern-day Ashkenazi Psak regarding the Nullification of Conversion,” p. 273. R. Chaim Amsellem quotes R. Ovadiah Yosef’s comments from 1976, where R. Yosef stated that a majority of the judges who worked in his system in Israel adopted more inclusive positions on conversion to avoid intermarriage, whereas a small minority adopted the more restrictive position (“Acceptance of the Commandments for Conversion,” pp. 110–111). See further discussions in R. Marc D. Angel, “A Fresh Look at Conversion,” in Angel, Seeking Good, Speaking Peace: Collected Essays of Rabbi Marc D. Angel, ed. Hayyim Angel (Hoboken, NJ: Ktav, 1994), pp. 131–140; R. Marc D. Angel, “Conversion to Judaism: Halakha, Hashkafa, and Historic Challenge,” Conversations 12 (Winter 2012), pp. 121–145. 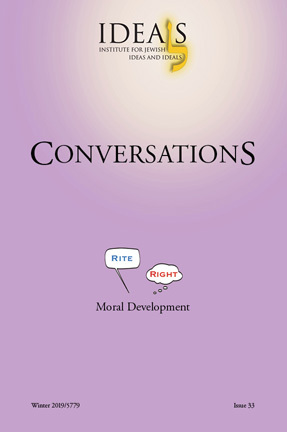 See further discussion in Zvi Zohar, “Retroactive Annulment of Conversions?” Conversations 2 (Fall 2008), pp. 73–84. For several moving personal testimonials written by converts, see R. Marc D. Angel, Choosing to be Jewish: The Orthodox Road to Conversion (Jersey City, NJ: Ktav, 2005).